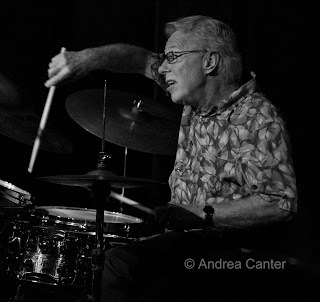 Bassist Billy Peterson and drummer Kenny Horst are capping a three-night run in three configurations at the AQ. 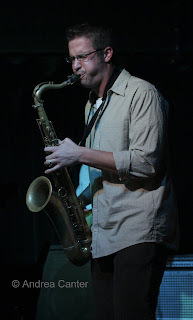 After gigging with Dean Magraw (8/31) and Dave Hagedorn/ Brian Grivna (9/1), Billy and Kenny meet up on Friday night (9/2) with uber sax master Brandon Wozniak and musically restless pianist Peter Schimke for one more night of maniacal and hip improvisation. And keep your parking space near the AQ. On Saturday (9/3), St Paul native, Iowa-based saxophonist Joel Vanderheyden comes home with his quartet, Koplant No, for his second appearance at the AQ. Last year he was celebrating the release of his quartet album, Complete Life. Now Koplant No has its own recording. Their understated use of electronica augments rather than takes over the music. 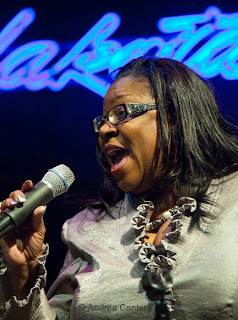 Ginger Commodore goes back to back with herself at the Dakota this weekend (9/2-3), first on Friday with her longstanding swinging quartet, then on Saturday with cohorts Debbie Duncan and Dennis Spears to pay tribute to the songwriting teams of Lieber and Stoller and Ashford and Simpson. This team of vocalists could probably make art songs out of the Chipmunks’ songbook, but with such gems as penned by these talents, they will simply turn silver into gold. It’s a Greek extravaganza at the Black Dog on Saturday (9/3), with Mike McColl’s Mediterranean feast and the Greek and Turkish music of Viv Corringham, Pat O'Keefe, and Tim O'Keefe. The dinner is a very reasonable $17.95 and you’ll want to make reservations (if any spots are left) at this little Lowertown jazz and bar gem. These musicians continue after dinner with their new band, Blue Camel. Also on Saturday (9/3), pianist/vocalist Joanne Funk and bassist Jeff Brueske return (every Saturday) to the Lobby Bar of the St. Paul Hotel, with songs from Nat King Cole, Blossom Dearie and more. One of the biggest talents to hit the city in late summer, Brazilian superstar Ivan Lins finally settled whatever visa problems kept him away in the past. He’s at the Dakota Monday night (9/5) with a raft of sambas and bossas. And on Tuesday (9/6), Christine Rosholt and a quartet headed by Chris Lomheim will test the stage at the new The Nicollet coffee house (in the old Acadia space at Franklin and Nicollet). Maryann Sullivan is booking jazz on Tuesday nights. And speaking of new spaces, Connie Evingson launched a new series last month, Jazz in the Lounge at the Woman’s Club of Minneapolis. The idea is to come by for cocktails and jazz, first Wednesdays of every month. 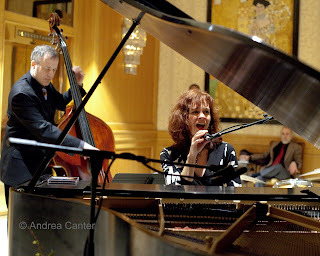 Connie will sing, of course, and bring on a special guest—this week (9/7) it’s pianist Adi Yeshaya. Thursday (9/8) is a big one, with Bill Evans’ bassist Eddie Gomez bringing his touring trio to the Artists Quarter. And the U of M hosts the famed Glenn Miller Orchestra of Today, focusing on the great hits of Miller. Yeah, this is one of those nights when you can do it all, catch the Miller orchestra and the late set at the AQ. That should cover a good deal of jazz from the 40s through today!
. Friday, September 2: Last Days of Summer Jazz Cruise, sponsored by KBEM, on the Magnolia Blossom. Music features singer Katie Gearty (tickets still available from KBEM). • Wednesday, September 7: Zacc Harris, Bryan Nichols and the Bates Brothers at Café Maude; Steve Kenny and the Bastids at the AQ followed by the Brian Grivna Quartet; NOLA Night at Fireside Pizza (Charmin Michelle, Denny Malmberg, Bruce Heine); Sample Night Live at the History Center features Maud Hixson and Jason Richards with Rick Carlson.